With all the media focus on the caravan, the Saudi journalist Jamal Khashoggi murder, and later the pipe bombs, there was scant coverage of the tragic Beirut US Marine Barracks bombing October 23, 1983. We had proof positive intelligence the orders for that bombing came direct from Tehran, but we never responded. It is well to review the events surrounding this tragedy and why we never responded. On that day, 241 of our finest military personnel were killed, with scores more seriously injured. Almost simultaneously, a similar attack was carried out at the French military headquarters, killing 58 French paratroopers. We have positive proof that these attacks were planned and ordered by Iran using their Islamic Amal terrorist proxies — forerunners to Hezbollah — in Lebanon. It is astounding that we had the information to prevent these attacks, and even more astounding is the “reason” for not retaliating. The National Security Agency issued a highly classified message dated Sept. 27, 1983, which contained the instructions that Iranian Ambassador Ali Akbar Montashemi in Damascus had previously received from Tehran and then gave to Husayn al-Musawi, the leader of the Islamic Amal. Those instructions directed the terrorist group to concentrate its attacks on the Multi-National Force but take a “spectacular” action against the U.S. Marines. I was deputy chief of naval operations at that time, and I did not receive that message until Oct. 25, two days after the bombing. That same day, I was called out to the CIA’s Langley headquarters because CIA Director William Casey wanted to see me. At the meeting, Casey asked me whether I would develop plans to take out the perpetrators if he discovered who they were and where they were located. I readily agreed. He then had one condition, whatever we give you, cannot be shared with the joint staff. He didn’t want to read about it in the next edition of the Washington Post. I agreed and never did turn over the key intelligence. The terrorist group, Islamic Amal, was located in the Lebanese Army Sheik Abdallah barracks near Baalbek, Lebanon. The organization had taken over the barracks on Sept. 16 with the help of Iran’s Islamic Revolutionary Guard Corps. I had the strike plans couriered to the 6th Fleet Carrier Strike Force commander, Rear Adm. Jerry Tuttle, because I knew then the Soviets were reading our communications. Everyone had been briefed, including the Joint Chiefs of Staff and Secretary of Defense Casper Weinberger. 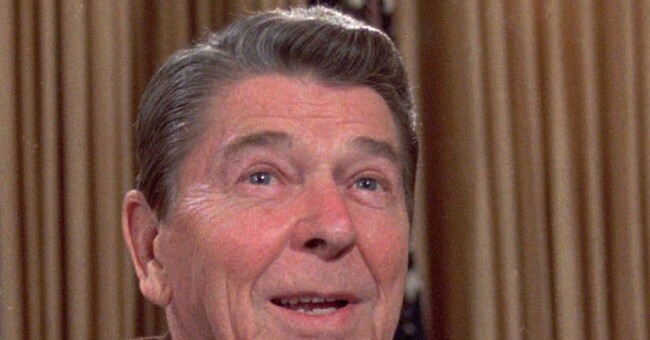 According to National Security Adviser Robert McFarland, at the key meeting with President Reagan, Weinberger stated that he thought there were Lebanese Army groups in the barracks. This was false. The President turned to Casey for clarification. Casey, who had just returned from an overseas trip, was not up to speed on such details. The president then said, “Get that sorted out.” As it turned out, there were no Lebanese Army troops in the barracks. But Weinberger threw more dust into the air by stating that we will lose all of our Arab friends if we go ahead with this strike. To me, the Iranian-Washington lobby group had to be deeply involved and had gotten to our Secretary of Defense. Consequently, we never received the execute order, even though the planes were loaded and ready to launch. In the words of the Carrier Strike Force commander, “This was a chip shot.” We were going to make the Sheik barracks near Baalbek, Lebanon look like a ploughed cornfield in Iowa. The failure to retaliate was tragic, and we are still living with that mistake. Compounding the problem, Reagan approved a combined strike with the French against the same target several days later. This time, the Secretary of Defense simply ignored the President’s order and would not issue the strike order. Bud McFarland and Secretary of State George Shultz both told me that they tried to get Weinberger to change his position but failed. The French were furious. They carried out the strike alone, but did no damage, contrary to Reagan’s diary entry that stated the French wiped out the terrorists. I am sure, neither the President nor his national security team are aware of these facts. Iran still must be held accountable. It is all part of why the Iranian theocracy must be removed from power.